Amazing Pre-Drink, a truly epic journey! 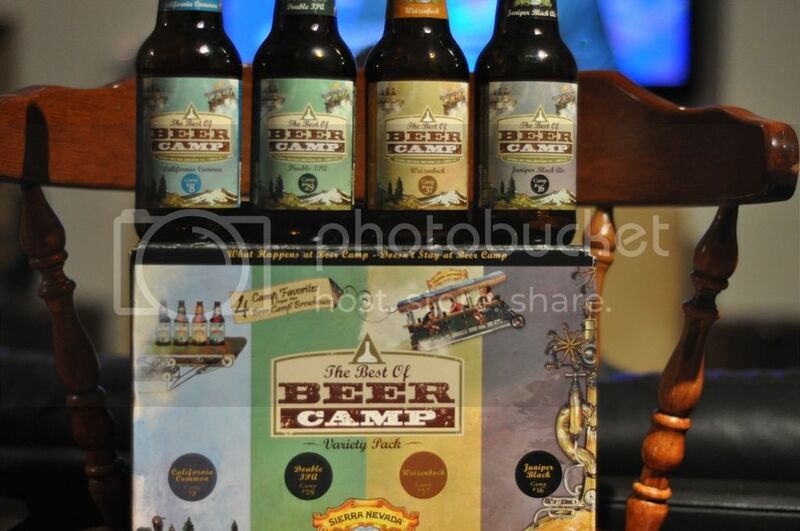 Sierra Nevada Brewery have just released their 'Best of Beer Camp' selection for 2011. 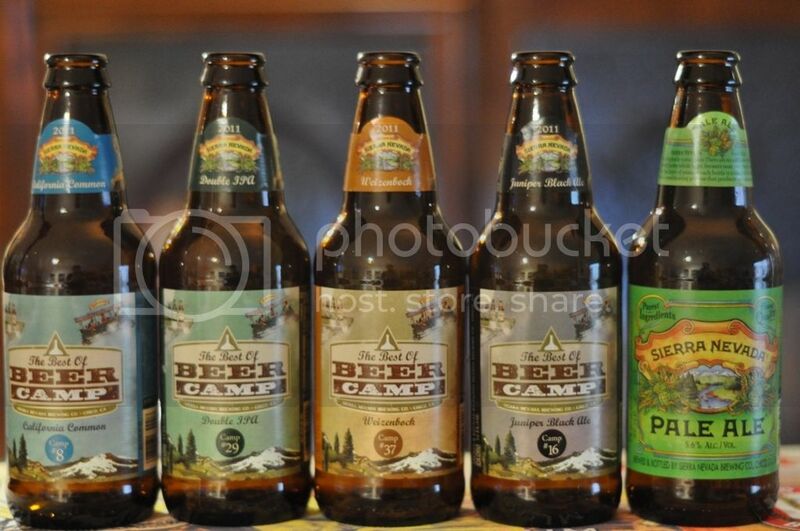 The selection includes a California Common, a Double IPA, a Weizenbock and a Juniper Black Ale. As with all beers from this brewery they should be full of flavours and with a pretty high alcohol content. Friday was a lovely Melbourne day and I finished work early, what better time to try these beers! I had a mates birthday in the evening so Richo came over to enjoy the beers with me, for a couple of pre's. It was going to be a fun evening! 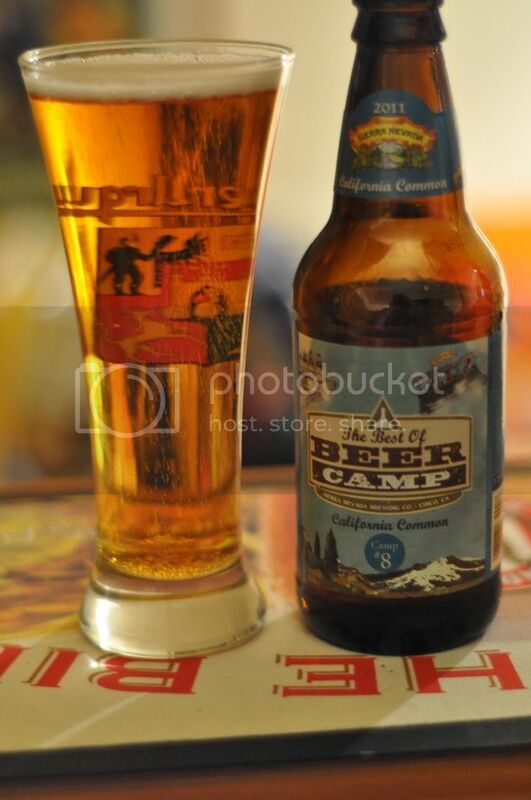 So we started with the California Common. It's a style that is very hard to come across in Australia, but basically it is a lager which has no refrigeration in the brewing process. It's also known as a Steam Beer. It pours a lovely golden colour with not a huge amount of head, but the little that is there laces really well. There were lots of bubbles in the beer so we were slightly perplexed by the lack of head. The beer smelt perfect for the warm afternoon sunshine, very light citrus and grass with floral hops. The flavour blew us away, this tastes alot like a fruity pilsner. It had quite a sweet malty bread texture but the overwhelming pear and citrus flavours were exactly what the day called for. It was incredibly crisp and smooth and you couldn't tell that it was 6.5%. It has a very nice dry finish, and I couldn't fault it. It's one of the best beers I've ever had! We decided that the Weizenbock would be the most appropriate beer to have next. 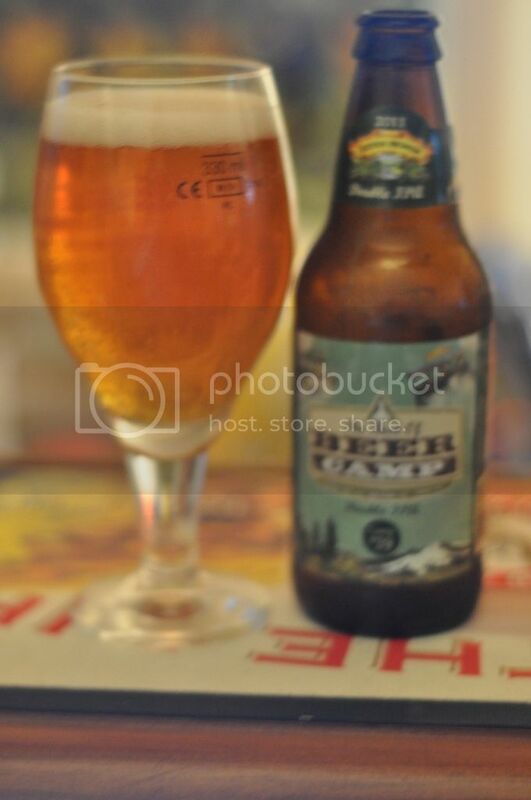 This is quite a difficult style to make, but being Sierra Nevada I'm sure it will be fantastic. This pours a very cloudy apricot colour with 2 fingers of brilliant white head. This is almost the perfect Weizenbock in appearance, I'm pleasantly surprised that they haven't Americanized the style. CLOVES! 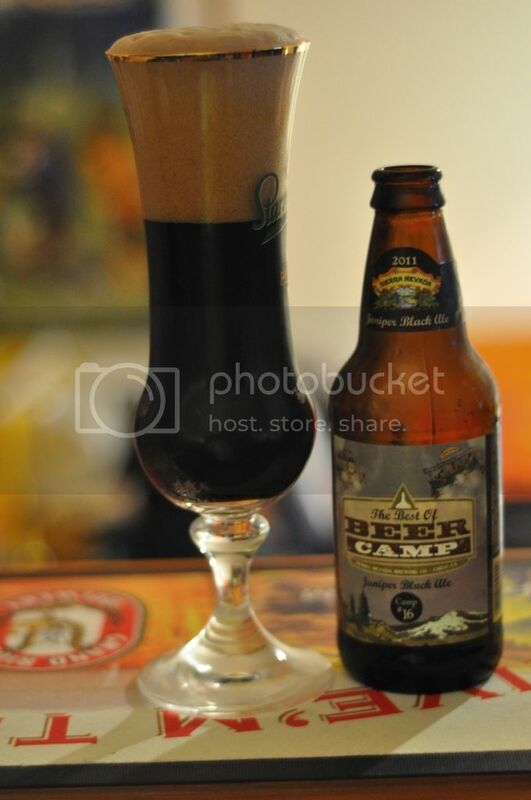 The overwhelming aroma of this beer was cloves, exactly what the style called for! Good elements of banana and dark fruits to accompany good maltiness. It's also nice to smell some of the yeasty undertones. What an amazing beer! It's very wheaty but as the beer warms up the wonderful spicyness of the cloves comes through. There are some citrus elements as well, but the banana taste is very strong. It's a very good beer, definitely gets better as the beer warms up, probably best served around 8-10 degrees. I'd be nitpicking if I said you can taste the alcohol a bit in the finish, but it really doesn't detract from the sensational flavour. At 6.8% it's quite low on the Weizenbock scale, but still a great beer. Definitely one of the better Weizenbock's out there. So onto the Double IPA and it's a whopping 8.5%. Double IPA are normally referred to as Imperial IPA's in Australia and our's are typically better than the American ones. It's a great style and one of my personal favourites, so hopefully this will be good, Sierra Nevada's normal IPA is fantastic so expecting big things from this beer. The colour is good, I would like it to be a little darker, but the colour is still nice. Not that much head, which is typical of the style but it was brilliantly white. Quite a good representation of the style but by no means exceptional. It smelled fruity and spicy with some lovely caramel notes. 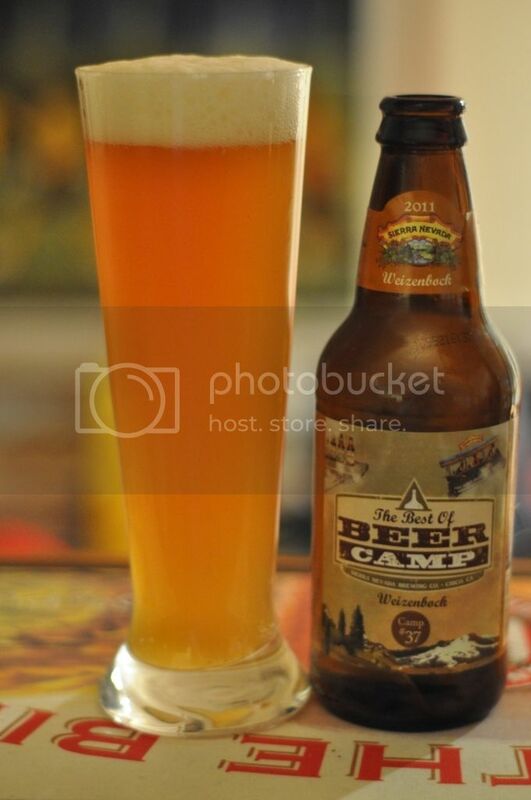 There is a resinous piney element to the nose, by no means is this as bold as many beers in the style. It's not really great for IPA standards but it is certainly acceptable. Again the flavour is good without being exceptional. There are some excellent pine flavours throughout with good levels of bitterness. Tiny amounts of citrus but really the alcohol is coming out too much. In an Imperial IPA you expect high levels of alcohol but you shouldn't taste it coming through. By no means is it an offensive beer, but by no means is it exceptional. If you want to try a good IPA by Sierra Nevada buy the Torpedo! It's a much better beer. This is definitely the worst of the three so far. And finally the beer I have been looking forward to the most; the Juniper Black Ale. 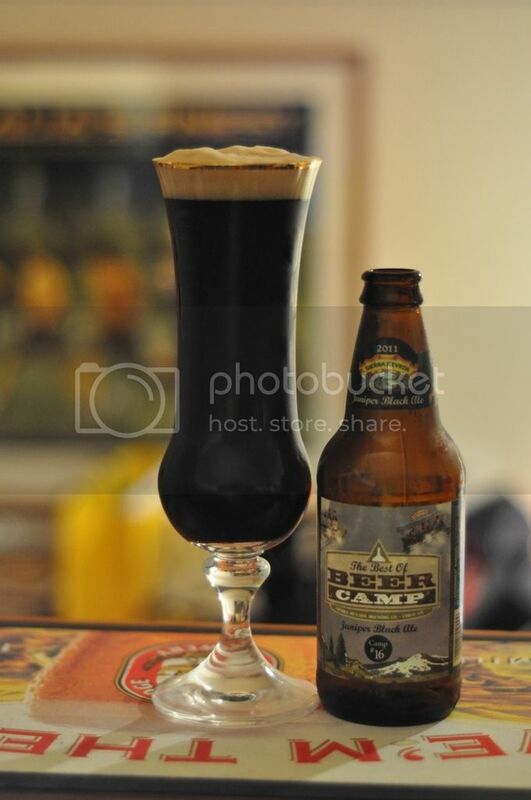 There aren't that many good Black Ale's around, and based purely on the fact that all Sierra Nevada beers are good this was bound to be another good one. The pour is just incredible, the head is absolutely enormous and quite bubbly (see photo below) but settles quite quickly to what you see on the right. The head is a tan colour and tastes wonderfully creamy, not disimilar to a Guinness' head. The colour of the beer is the blackest either of us have ever seen, it's completely opaque! We held a bottle of Coke up to the light and this up as well and the Coke is quite reddy-brown but this you can't even see the light through it's just amazing! The nose was really strange, lots of roasted malt and coffee. It's mildly acidic but you can really smell the juniper, and there's lots of it! It's got nice floral overtones and is slightly fruity. This is a really nice start, it could maybe smell slightly sweeter, but the taste is where we will find out if this is a really good beer. WOW! This beer is really big on flavour straight up, the juniper hit is strong and only gets stronger as the beer warms up. There is more herbal and fruitiness than the nose lets on. The malt is well roasted and tastes fantastic there is even this strange almost licorice like taste, which provides great bitterness. It really is very difficult to describe the levels of flavour going on in this beer. The basic take home message is that this is one of those beers that you are going to have to try to decide whether you like it or not. We both thought this was amazing, definitely worth a try as it tastes like no other beer I have ever had.